Gladiator Ultra Shaped Combo Package is rated 5.0 out of 5 by 1. 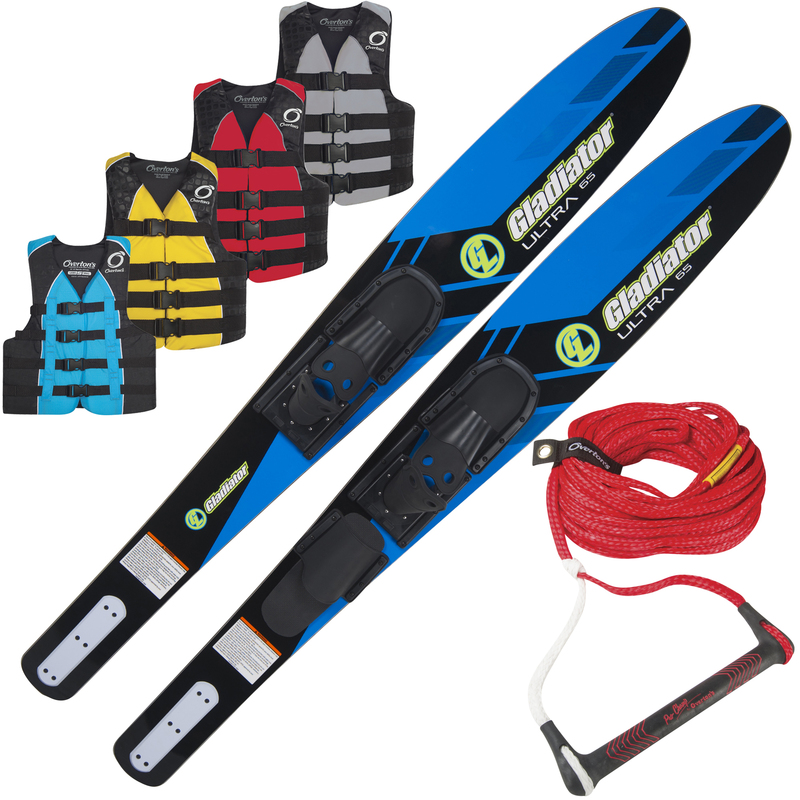 These fun-to-ride skis from Gladiator have dual tunnels, so they're easy to ride in rough water and stable in calm water. 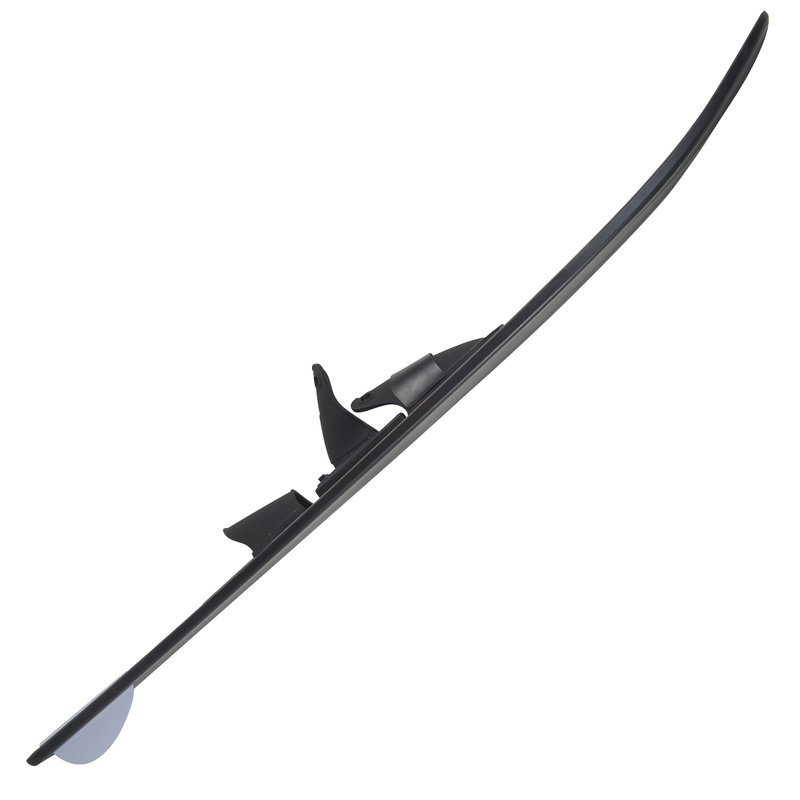 Wider forebody delivers easier deep water starts, and parabolic shape makes effortless turns. 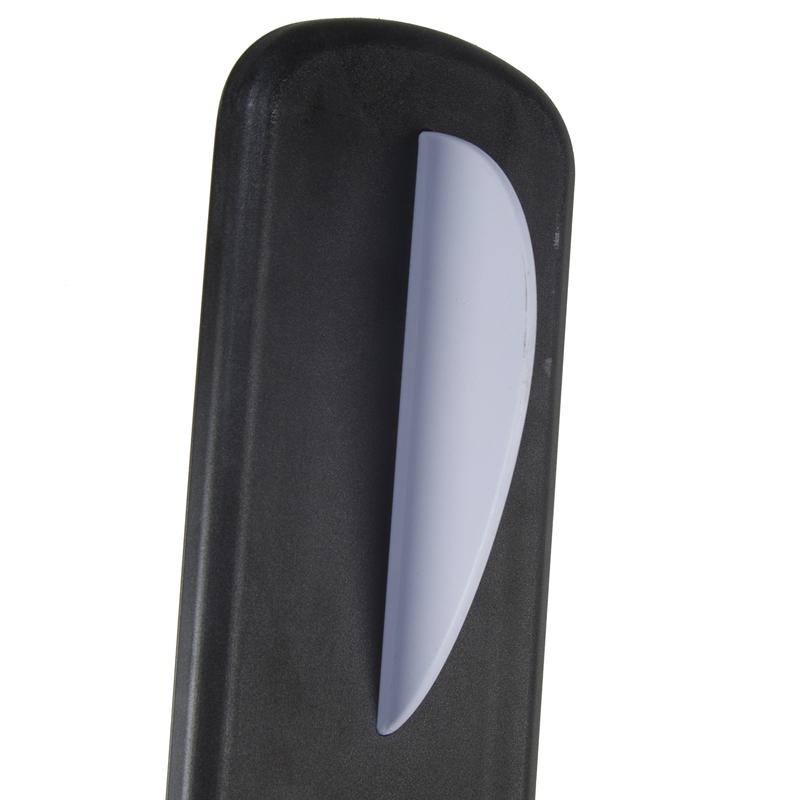 The extra surface area also means you can back down the speed a little without losing stability. Complete package includes 11.5" Pro Champ handle with 75' rope and a 4-buckle nylon vest. Vest sizes: S/M(32"-40"), L/XL(40"-52"). Vest lengths: S/M(20-1/2"), L/XL(20-1/2"). 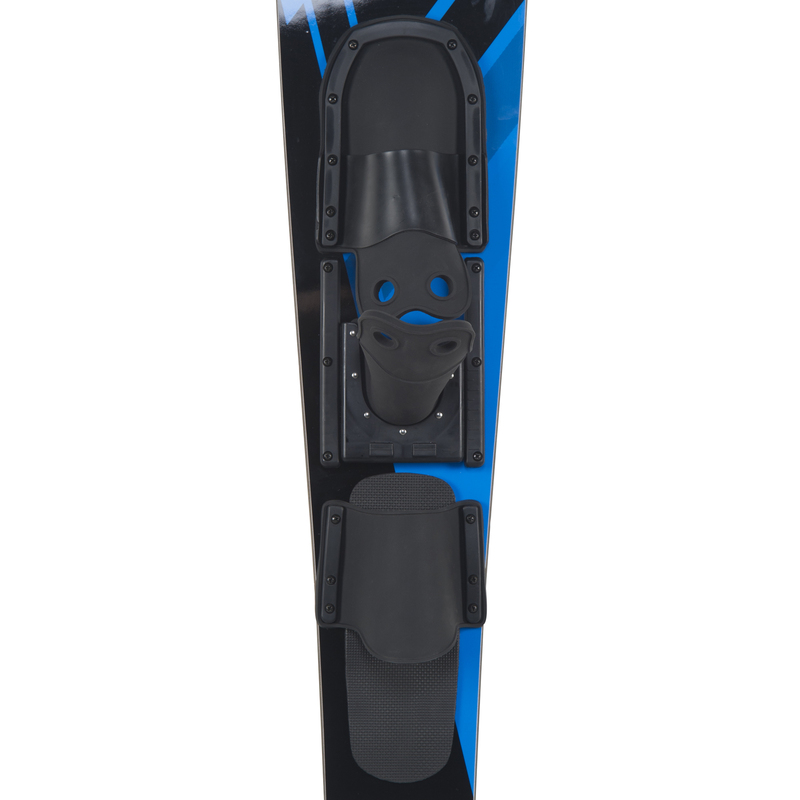 Adjustable bindings fit sizes 5 - 13. Ski length: 65-1/2". Rated 5 out of 5 by Mick from Great Package I bought this based on the low price and perceived value. I was pleasantly surprised at how much I like the skis and the comfort of the grip on the ski rope. The vest was a bonus. I would buy this package again. The skis have a comfortable amount of buoyancy that makes it easy to sit in the water for the rope to get tight and go. Can you order different size vests and how? 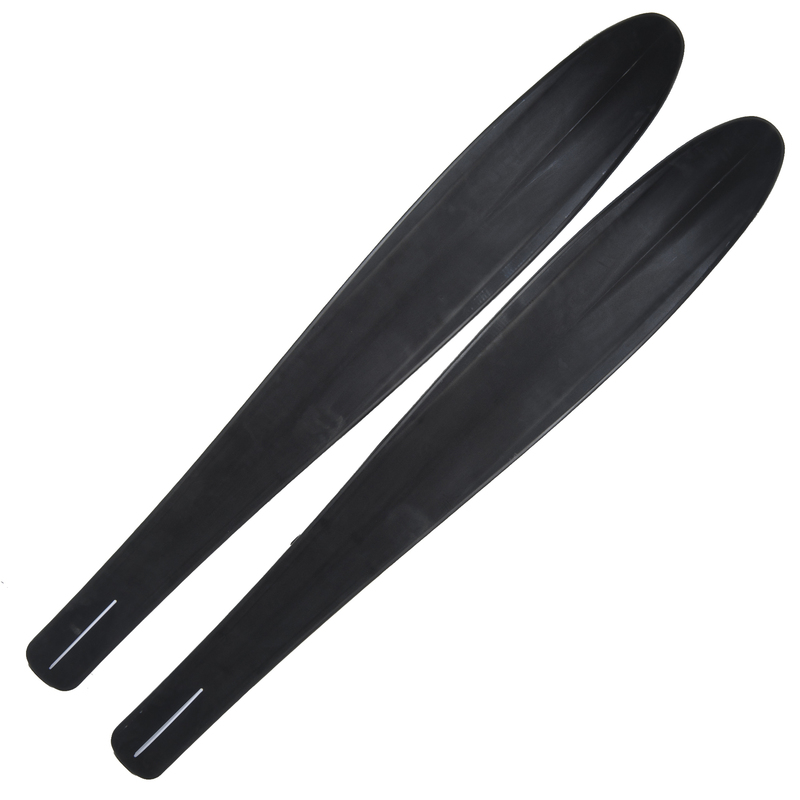 What's the best way to size waterskis for beginners? Is it based on height and/or weight? It is based on weight. How long are the skis with this package? I wear a 7 in womens shoes and want a secure binding. Would this ski work for me? Yes, this should be a good choice, the adj binding goes down to a men's size 5. Does the waterski handle float?